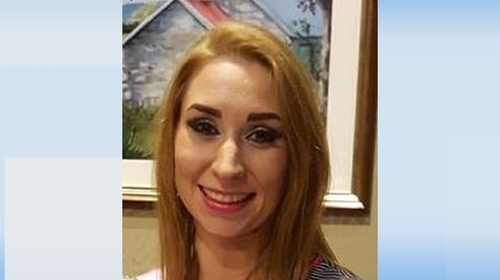 A verdict of unlawful killing has been returned in the death of a 30-year-old woman whose body was discovered on the outskirts of Sligo two days after she was reported missing. An inquest into the death of Natalia Karaczyn, originally from Poland, opened at Sligo Coroner's Court. The jury heard that the mother of three was reported missing by her sister on 29 April last. A post-mortem examination carried out by Deputy State Pathologist Dr Linda Mulligan showed that the young woman, who lived at Crozon Park, Sligo, suffered bruising to her neck and her jaw line. The inquest was told that Dr Mulligan found that she died from asphyxia, following the application of external pressure to her neck and that it was "most likely manual strangulation". Superintendent Ray McMahon said that in the course of a garda investigation, over 100 statements had been taken, CCTV footage examined and forensic examinations carried out. He told the jury that following directions from the DPP, an individual had been charged with her murder and was currently in custody. He applied to have the inquest adjourned pending the completion of criminal proceedings. Following a direction from the coroner Eamon MacGowan, the jury returned a verdict of unlawful killing and found that Natalia Karaczyn died from asphyxia due to external pressure on her neck. Last May, Rafal Karaczyn of Crozon Park, Sligo, was charged with murdering his wife Natalia Karaczyn at their home on April 29, 2018. Following an application by defence counsel Keith O’Grady at Sligo district court, the accused was placed on suicide watch. Mr O’Grady told Judge Kevin Kilrane that family members of the deceased were in court to support the accused, and they were concerned about him, and supported the application to have him placed on suicide watch. Ms Karaczyn’s body was discovered at Holywell Road near Lough Gill, Co Sligo, following an extensive search effort by local gardaí.